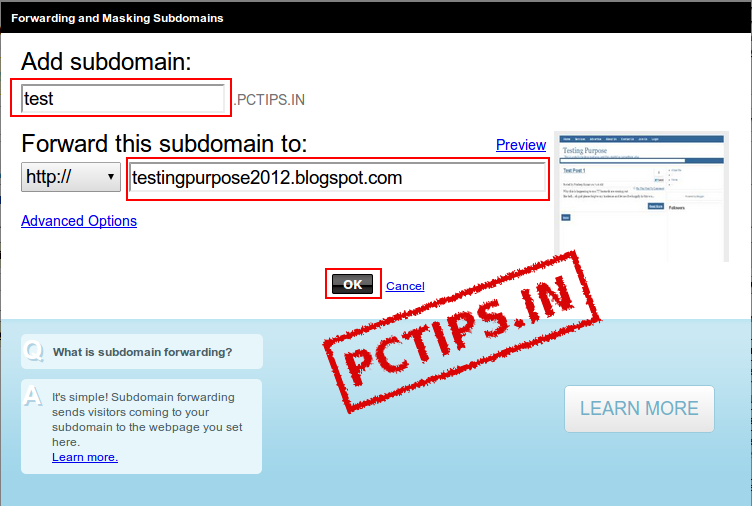 Then click on 'Launch' to the right of the domain you want to set up subdomain. 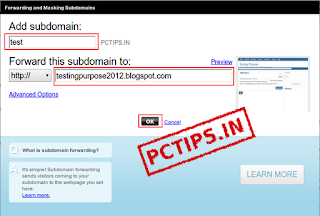 Click on 'Add Subdomain' in the popup. 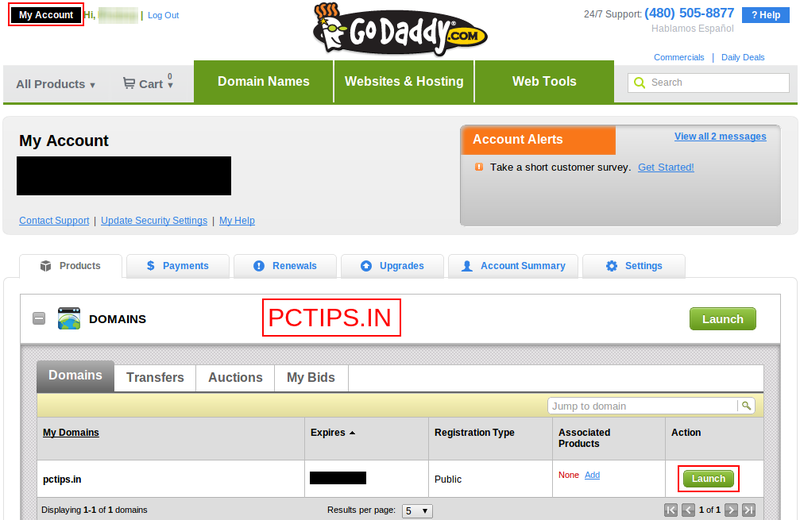 Now enter your desired subdomain name and the target address. If you want this subdomain to forward to another site without masking the original address, then just click on 'OK'. Your job is done. 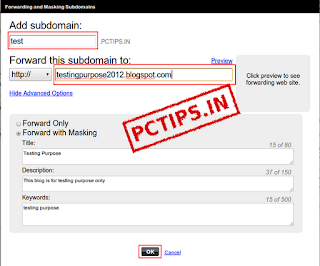 Or If you wish to mask your original site address, (the browser's address bar will display only the subdomain - In my case, http://test.pctips.in ) then you can click on 'Advanced Options' and then select 'Forward with Masking'. 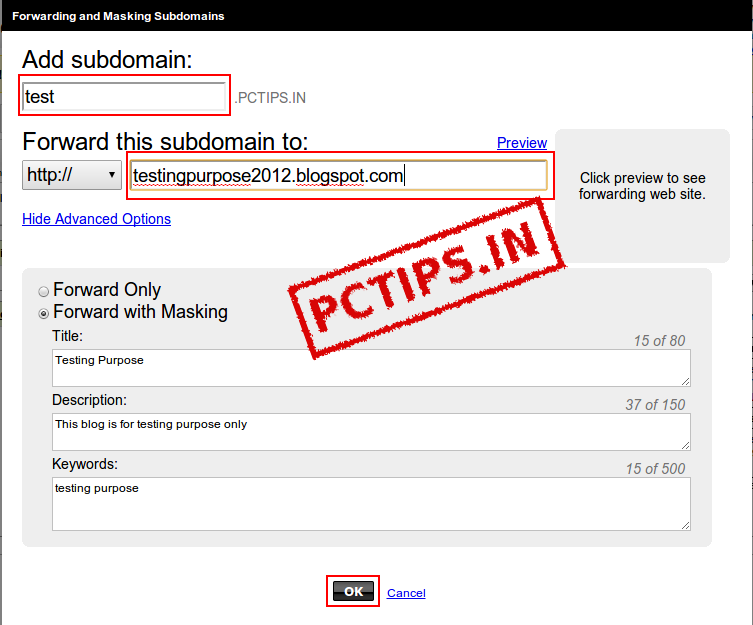 Then enter the Title, Description and Keywords in the relevant textbox. 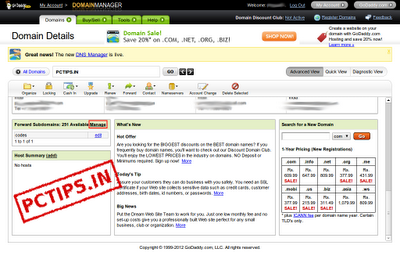 Then click on 'OK'. Thats it. That was much easier, wasn't it. 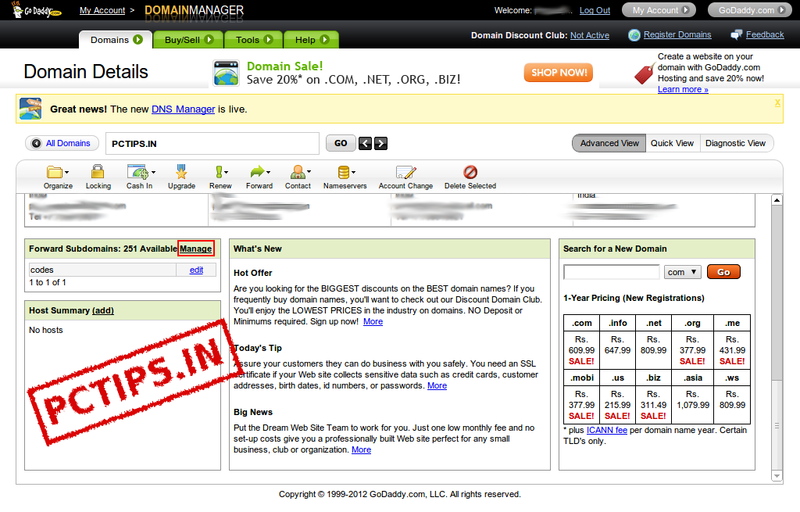 Stay tuned for more updates.